Constantly moving from place to place is troublesome, no matter how much stuff there is to move. Furlenco, a furniture rental startup company in India, has constructed The Pod, a product changing what a bed is and can be used for. 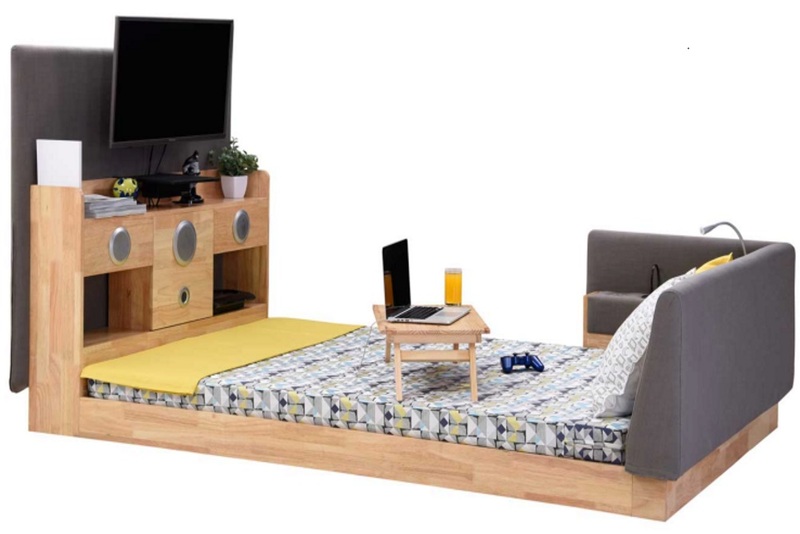 This piece of furniture includes a bed as the base, couch cushion as headboards with adjustable reading lights on the side, 2:1 channel speakers at the end with a stand for a television and outlets to charge a smartphone or laptop. This brings all the comforts of a relaxing desk to the infrastructure of a bed instead of just surrounding it. Currently, Furlenco only operates in Bangalore, Mumbai or Pune. The Pod costs 2999 Rupees, or $44, per month to have, with a downgraded version for 2499 Rupees, or $37, per month, that comes without the television.